This release of AutoCAD, codenamed "Jaws" was released March 27, 2012. This is the 27th version of AutoCAD. Previous AutoCAD version AutoCAD 2012 and newer version AutoCAD 2014. New file format "AutoCAD 2013 Drawing" is used. AutoCAD 2013 introduces a new file format that includes changes to the thumbnail preview file format, as well as new controls for graphics caching. Thumbnail previews in the new AutoCAD 2013 DWG file format are now stored as PNG images, providing higher-quality thumbnail previews in a smaller file size. Image resolution is still controlled by the THUMBSIZE system variable. However, the maximum valid value has increased from 2 to 8. If you do not wish to include thumbnail previews in the drawing you can still use the RASTERPREVIEW system variable (or the new THUMBSAVE) to disable them. Note that only 3D drawings make use of a larger thumbnail. The UPDDATETHUMBSNOW and UPDATETHUMBNAIL system variables are no longer needed and have been removed from AutoCAD 2013. When you save a drawing containing 3D Solids in the new AutoCAD 2013 file format, a graphics cache file is automatically stored in a folder named “GraphicsCache” under your user app data folder. Two new system variables, CACHEMAXTOTALSIZE and CACHEMAXFILES, enable you manage the cache files. The command line has been enhanced. Color and transparency can be changed. It works better as undocked and can be made smaller. It features a semi-transparent prompt history that can display up to 50 lines. Several enhancements, ease of use and new grips. When selecting objects and making changes of properties like color and transparency a preview is seen directly in the drawing. Attach and manage point cloud files in same way as with xrefs, images, and other externally referenced files. The Attach Point Cloud dialog box has been updated to provide a preview image and detailed information about the selected point cloud. There is a new contextual Point Cloud ribbon tab appears with all the necessary Point Cloud tools when a Point Cloud is selected. A new bounding box appears when you select a point cloud (making it easier to visualize its position in 3D space). If intensity data is included, you can use the analysis tools to view point intensity with different color schemes. Point Clouds can be clipped. Additional options enable you to specify whether the bounding box is displayed and provide easy access to the External References manager. The Properties palette is updated to include new point cloud properties such as intensity and clipping. Point cloud indexing is significantly enhanced in AutoCAD 2013 to provide a smoother and more efficient workflow when working with raw scan files. You can index scan files from major industrial scanner companies, including Leica and Topcon in addition to Faro. The new Create Point Cloud File dialog box provides an intuitive and flexible interface to select and index raw point scan files. You can select multiple files to batch index and even merge them into a single point cloud file. When creating PCG files, you can specify various Index settings, including RGB, Intensity, normals, and custom attributes. When you save from AutoCAD 2013 to an older version DWGTM file, a message alerts you that the attached PCG file will be re-indexed and degraded to be compatible with the previous version of the drawing file format. The new file is renamed to a corresponding incremental file name. PressPull is more flexible and context sensitive. Use PressPull on multiple objects at one time. PressPull can select 2D and 3D curves (not just inside a bounded area). You can use the new Multiple option or the Shift key to press or pull multiple objects in a single operation. When selecting a face with the Presspull tool, the default behavior extrudes the face straight out. If you press the Ctrl key when you select a planar face, you can offset it as it extrudes to follow the taper angles of adjacent sides. Strike-through style is available for Mtext, Mleaders, Dimensions and Tables. The number of display rows for the Font drop-down list has been increased in the Text Style dialog, the Text Editor ribbon tab, and the ArcAlignedText dialog. Leaders are now included with the TextToFront tool. The Mleader text box has been updated to include a margin between the text and the frame and to provide a minimum width for the mtext in order to prevent text overflow. Control displaying but not plotting the wipeout frame with the new WIPEOUTFRAME system variable. The new PLINEREVERSEWIDTHS system variable allow more control when using the REVERSE tool to ensure the results you want. When using the Offset command, a preview of the offset result is automatically displayed before ending the command. A new Legacy option in the Snap tool offers increased flexibility when snapping to grid points. If Snap Legacy mode is set to yes, the cursor snaps based on the snap spacing, regardless of whether you’re in a command, specifying points, or selecting objects. When Legacy is set to no, the cursor snaps based on the snap spacing only when specifying points within a command. The snap spacing is ignored when no command is active and when selecting objects within a command. External Reference functionality has been updated. Now you can edit the Saved Path directly in the External References palette and the Found path is displayed as read-only. The right-click menu includes some additional updates. In the dialog boxes, the default type is set to Relative Path unless the relative path is not available—for example, if the drawing has not yet been saved or the host drawing and external file are located in different disk partitions. The Export Layout to Model tool has been updated so when you export a layout with drawing views containing circular objects, those objects are represented in the exported drawing as circles and arcs instead of polylines. In the Customize User Interface dialog box, the double-click action for dimension objects has been updated to launch TEXTEDIT rather than the alias TEDIT. 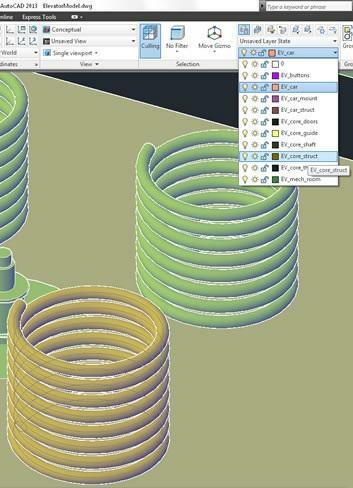 Inventor Fusion makes it possible to import and edit Inventor models. Extract Isolines tool is new on the Surface ribbon tab. Extract isoline curves from an existing surface or face of a solid. The direction of the isolines can be changed, select a chain or draw a spline on the curved surface. 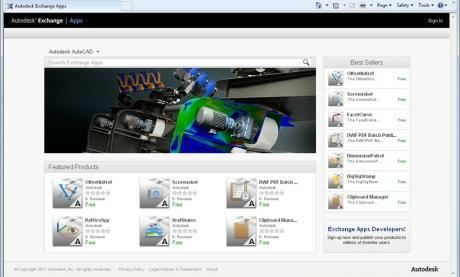 Apps on Autodesk Exchange can now be accessed from any web browser. In AutoCAD 2013 you can easily connect to your Autodesk 360 account for file sharing, customized file syncing, and more. Sign in directly from the InfoCenter toolbar using your Autodesk single sign-on name and password. If you do not yet have an account, you can create one. After signing in, your user name and additional tools are displayed in the drop-down menu, including the option to sync your settings with the cloud, specify online options, access Autodesk 360, sign out, and manage account details. The first time you access Autodesk 360, you have the opportunity to specify default cloud settings to control when your design data and custom settings are synced with the cloud. You can choose to automatically store encrypted copies of your local design data in your Autodesk 360 account each time you save, or save only specified documents. In either case, you can override the default behavior for individual drawings. When you upload drawings directly from AutoCAD to Autodesk 360, external references and other dependent files are automatically included with the upload. You can also choose to automatically sync your program appearance, profiles, workspaces, options, and support files so that you can restore them on any computer. If you wish to modify the default cloud settings after closing the dialog box, you can access them via Online Options in the drop-down menu and the Online ribbon tab. Additional tools for working with Autodesk 360 functionality are available in the Online ribbon tab. The new Autodesk 360 tool opens your Autodesk 360 documents list and folders in a browser. If you are not already logged in, you’re prompted to do so. Your Autodesk 360 documents are also available from many Select File dialog boxes throughout AutoCAD. For example, when you open, save, or attach a file, you can access Autodesk 360 directly from the Places list on the left side of the dialog box. The Online Options tool provides easy access to the Online tab in the Options dialog box where you can monitor your online storage capacity and control interaction with cloud documents and customization synchronization. An option in the lower left corner of the dialog box enables you to specify the cloud folder in which you want your drawings to be saved. The Open on Mobile tool sends a push notification to any mobile device that has AutoCAD® WS software installed and where you are signed in with the same Autodesk ID. The push notification will enable you to open up the current drawing on your mobile without having to browse to the file or open AutoCAD WS first. The Upload Multiple tool enables you to browse and select multiple drawings to upload to your Autodesk 360 documents. Customization synchronization enables you to take advantage of your custom AutoCAD preferences and support files even when you work across multiple machines. The Sync my Settings tool enables you to start and stop syncing of your custom settings. If you stop syncing your custom settings, your online settings are preserved but no longer updated. If you choose to sync your settings, AutoCAD compares your local settings with your cloud settings and prompts you to choose whether you want to use your local settings, in which case it will upload them to the cloud, or your online settings, in which case it will download them from the cloud. Bubble notifications indicate when settings are being uploaded to or downloaded from the cloud. Use the Choose Settings tool to specify which settings to include in customization sync. These can include: options; customization files; printer support files; custom hatch patterns; custom fonts, shapes, and linetypes; tool palettes; and drawing templates. The Options setting includes almost all the controls in the Options dialog box. · The Customization setting includes .cuix, mnu, workspace files, and more. · The Printer support files setting includes copies of printer support files such as .pc3, ctb, and .stb files. · The Custom hatch pattern setting includes your custom hatch pattern files. · The Tool Palettes setting includes tool palette files and groups (.atc, .aws). · The Custom fonts, shapes, and linetypes setting requires the AutoCAD application to be restarted. When you make changes to your customization settings with synchronization enabled, a bubble notification in the upper right corner notifies you that the changes are being uploaded. When you sign out of Autodesk 360, a dialog box enables you to choose if you want to keep your custom settings or restore the previous settings. Use the Share Document tool to easily share the current drawing with other users. If the current drawing is saved locally only, a copy of the drawing is uploaded to the cloud and shared. If an online copy of the drawing already exists, then it is shared. You can control the access level of shared documents. The Collaborate Now tool will launch AutoCAD WS in the user’s default browser and initiate a collaboration session with another WS user. The CAD Manager Control Utility is updated to include controls for Autodesk 360. You can install the CAD Manager Control Utility from the Install Tools & Utilities option of the AutoCAD Installer. 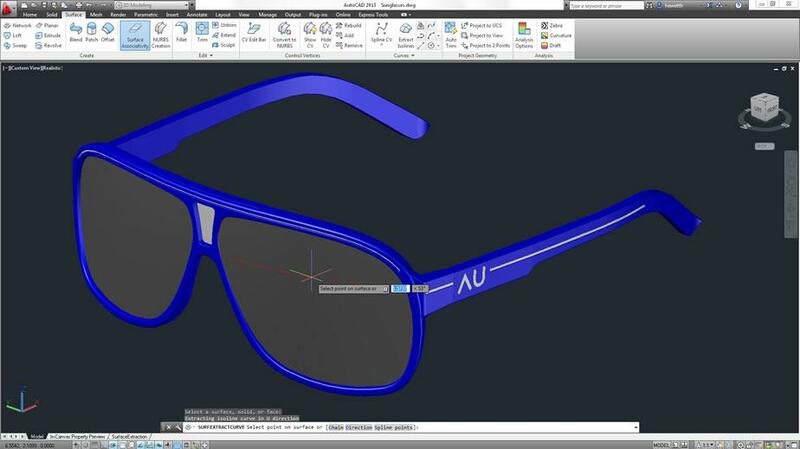 The new Online tab in the CAD Manager Control Utility enables CAD managers to control their users’ access to Autodesk 360 documents and customization synchronization. New Online Rendering tools enable you to render your 3D AutoCAD models in the cloud using the Autodesk rendering service. Materials are assigned, lights and the environment are set up, and you are ready to create a high-res rendering of four different views of the model. The views are sent to the cloud for rendering while you continue to work on your computer; you’re notified when the renderings are ready. Browse your online render gallery. You can access the Online Rendering tools from the Render ribbon tab. The AutoCAD® Content Explorer functionality, which is accessible from the Plug-ins ribbon tab, has been updated in AutoCAD 2013. New capabilities include basic indexing support (file name, date created, etc.) for many more file types. Any file that can be opened, imported, and attached using AutoCAD is now included in the index and will be returned as search results. For example, you can search for raster images and PDF files by name and then attach them to the open drawing. The filter dialog enables you to choose which file types to include in your search. The search algorithms have also been improved to support more intuitive search input—especially for wildcard (*) searches. These improvements help produce more accurate search results. Many of these improvements were added in response to feedback from customers and tested against their examples. In AutoCAD 2012, you were able to connect to server machines that had the Content Service installed, in order to quickly search for files/objects across large library folders. This connection capability has been extended in AutoCAD 2013 to include ANY computer that has the Content Service installed. Therefore, you can connect to your colleague’s watched folders and search their content for peer-to-peer file and object sharing—but only if they’ve explicitly granted access to the folder (Windows®-based security and firewall security still apply). New Language Packs in AutoCAD 2013 help simplify the process of downloading and using multiple languages in AutoCAD. Now, rather than installing a full version of AutoCAD for each language, you install one full product and then add subsequent languages via Language Packs, resulting in smaller download and install time and space for the secondary languages. You can download Language Packs from the Help menu in the upper right corner of the application. A launch icon and menu item for each installed Language Pack is added to the Windows desktop and Start menu. Language switching is performed with the undocumented parameter or command line switch "/language" for acad.exe. Languages available for AutoCAD 2013: English, Brazilian Portuguese, Czech, French, German, Hungarian, Italian, Korean, Polish, Russian, Simplified Chinese, Spanish and Traditional Chinese. Detail Views and Section Views has been added. It is now possible to select what objects to include in the model documentation. Dimensions added to the drawing views (with the model documentation tools) are associative. The Base View tool includes a new Select option that enables you to specify which 3D objects are represented in the base view. The Select option is also available when editing the base view after it’s been created. 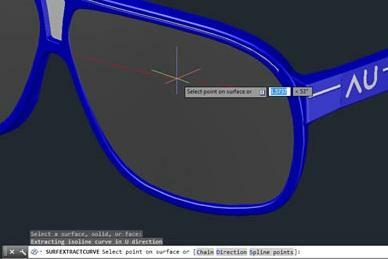 When using the Select option, AutoCAD temporarily switches to model space, enabling you to add or remove objects for the base view selection set. You can also start in Model Space and select the objects for which you want to create a view. Then, using the Base View tool, choose From Model Space. You can specify the name of an existing layout or enter a new layout name. AutoCAD automatically creates the new layout if necessary and makes it active. When you create drawing views using the model documentation tools in AutoCAD, relevant layers with an MD_ prefix are automatically added to the drawing. If you rename the layers or change layer properties, those changes are automatically applied to existing as well as subsequent drawing views created in the same drawing. Create a section view from an existing drawing view by picking points to define the section line. 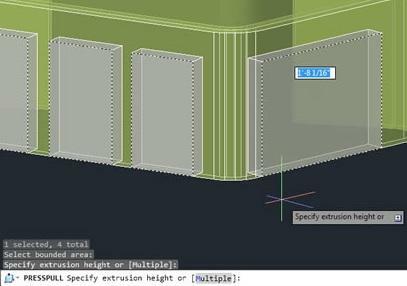 A context-sensitive ribbon tab provides easy access to Section View Creation tools, including depth and hatch controls. A section identifier is automatically applied and incremented as you create subsequent section views, or you can override it with your own identifier. You can also choose to display a view label identifying the section and scale. You can control whether individual model components participate in the section using the Edit Components tool on the Layout ribbon tab. If the selected components are set to None, the components display without being sectioned. The participation of components is passed to child views projected from the section view. You can also specify if the section view should include the full depth or just a slice. The appearance of the section view label is determined by the Section View Style tool, which is accessible from the Model Documentation ribbon tab. You can select from predefined Section View Styles or define your own using the Section View Style Manager. In the Section View Style Manager, you can create new section view styles as well as modify or delete existing ones. When creating or modifying a section view style you have access to a variety of controls to specify the appearance of the section identifier and arrows, cutting plane, view label, and hatch. You can easily modify a section view after it’s been created. Multifunctional grips on the section line enable you to move the section line, add and remove vertices, flip the direction, and reposition the identifiers. Grips on the section view and section view label enable you to modify the view position or scale as well as change the label location, width, and height. If the section view includes hatches, you can edit properties of the hatch pattern using a multifunctional grip. It still remains associated with the section view. Additional editing tools are available in the Section View Editor, which is accessible from the right-click menu and the ribbon tab (Edit View/VIEWEDIT button) when a section view is selected. Create detail views from existing drawing views. A context-sensitive ribbon tab provides easy access to Detail View Creation tools, which enable you to specify a circular or rectangular boundary, control whether the boundary is displayed, and choose smooth or jagged edges. A detail identifier is automatically applied and incremented as you create subsequent detail views, or you can override it with your own identifier. A view label identifying the detail view and scale is automatically inserted. The appearance of the detail view label is determined by the Detail View Style tool, which is accessible from the Model Documentation ribbon tab. You can select from predefined detail view styles or define your own using the Detail View Style Manager. In the Detail View Style Manager, you can create new detail view styles as well as modify or delete existing ones. When creating or modifying a detail view style you can specify a variety of options to control the detail boundary, view label, and detail view. You can easily modify a detail view after it’s been created. Grips on the detail symbol enable you to modify the position of the boundary and the identifier. Grips on the detail view and detail view label enable you to modify the view position or scale as well as change the label location, width, and height. Additional editing tools are available in the Detail View Editor, which you can access via the right-click menu and ribbon tab when a detail view is selected. 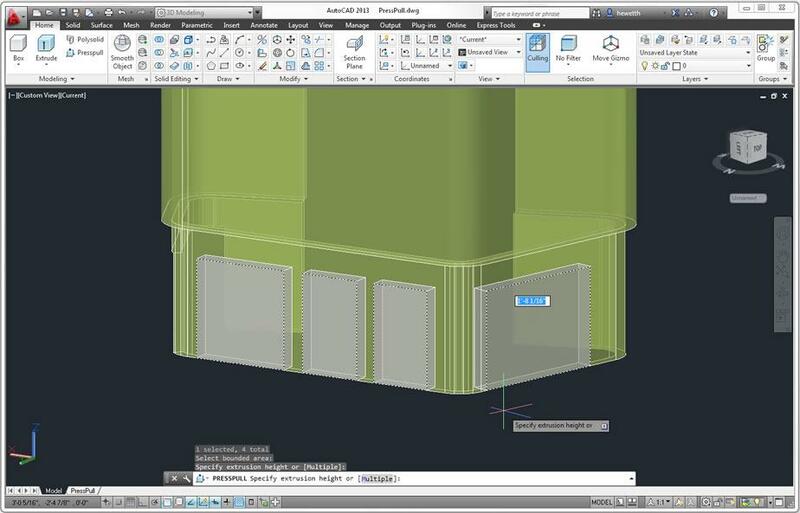 Use the Symbol Sketch tool to constrain section lines and detail boundaries to key points in the drawing views, helping maintain accuracy even as the model or layout changes. 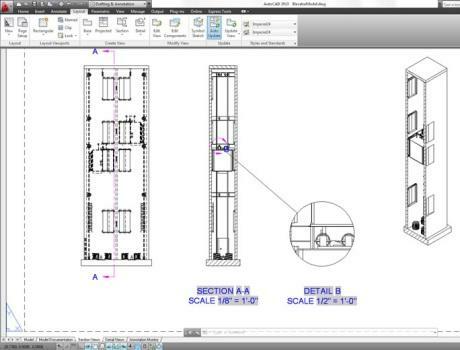 Regardless of which types of drawing views you create—base, projected, section or detail—you can add associated annotations using traditional dimensioning and multileader tools. The annotations are associated to the drawing view based on the vertices selected or inferred by the selected edge. As a result, if you transform (move, rotate, scale) or update the drawing view, the annotations react accordingly. For example, if you move the drawing view, associative annotations move with it even if they were not included in the move selection set. If you update the drawing view, associative annotations remain associated to the vertices as the geometry changes in size. You can make other edits to the drawing views, such as changing the view style, object visibility, and adding or removing objects to the view selection set, while still maintaining associativity with annotations. Since the annotations are associated to the drawing view and the drawing view is associated to the model, it’s possible for edits to the drawing view or model to invalidate, or disassociate, annotations. For example, if you delete a drawing view that has associative annotations or you delete part of a model that has been annotated in the drawing view, the associated annotations are meaningless. 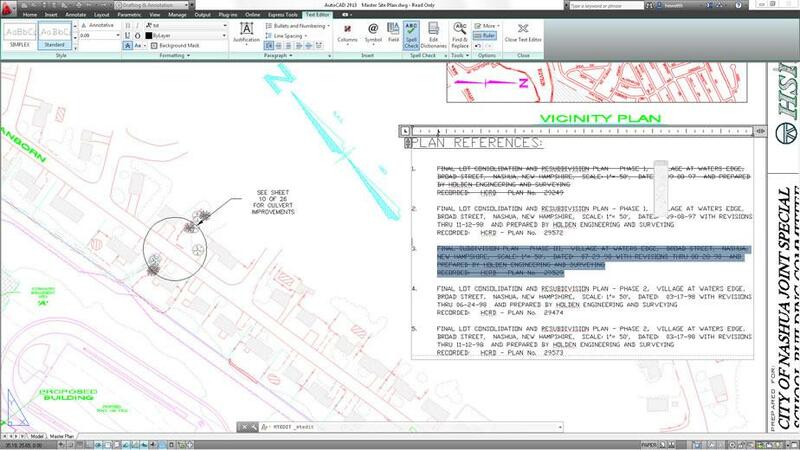 The new Annotation Monitor in AutoCAD 2013 helps you identify and address those disassociated annotations. An Annotation Monitor button is included on the AutoCAD status bar. When turned on, it provides feedback regarding the state of associative annotations. If all annotations in the current drawing are associated, the annotation icon in the system tray remains normal. As soon as at least one annotation becomes disassociated, the annotation monitor icon in the system tray changes and alert badges are displayed on each of the disassociated annotations in the drawing. You can click on individual annotations to reassociate or delete them one at a time or select the link in the Annotation Monitor alert bubble to quickly delete all of the disassociated annotations. The Auto Update tool controls whether drawing views are updated automatically when the source model changes. New tools in the InfoCenter make it easy for you to stay connected with the AutoCAD community. 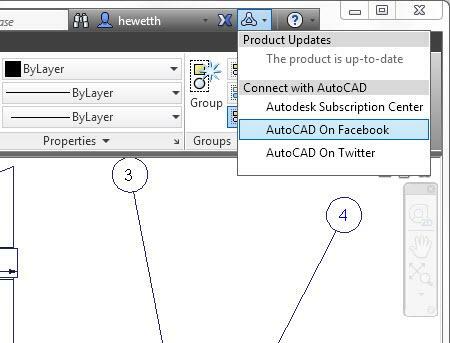 Access the Stay Connected menu, where you can download product updates, log onto the Autodesk® Subscription Center, view the AutoCAD Facebook page, and follow AutoCAD Twitter posts. The deployment builder is more streamlined and easy to use than the 2012 products. The deployment includes a script template for use with Microsoft System Center Configuration Manager 2007. "C:\Program Files\Autodesk\AutoCAD 2013\acad.exe" /ld "C:\Program Files\Autodesk\AutoCAD 2013\AecBase.dbx" /p "" /product "ACA" /language "en-US"
Note the new undocumented command line switches /product and /language. With AutoCAD 2013, Architecture, MEP, Mechanical, AutoCAD Structural Detailing all install to the same folder. The /product switch governs which program loads, since the same acad.exe is used for all of them. The text for the switch is ACAD, ACA, MEP, ACADM or ASD. Other products like AutoCAD Map 3D installs into their own folder. There is a break in binary compatibility for .NET applications in AutoCAD 2013. It's needed to include a project reference to AcCoreMgd.dll (in addition to AcMgd.dll and AcDbMgd.dll). There have also been namespace changes. .NET Framework 4 needs to be targeted in Visual Studio. Install the language package and then the command line switch /language "en-US" can be modified to for example /language "zh-CN" for Simplified Chinese. SmartPurger has been updated to support the Core Console. AutoCAD Core Engine Console - Copyright Autodesk, Inc 2009-2011. And then commands can be entered on the command line. 2) /s : Used to specify the path to the script file. 3) /l : If language packs are installed, you have the choice to invoke the language version of accoreconsole. The commands in the script file can then be in one of the languages that you have installed in your system. 4) /isolate : Used to prevent the changes to the system variables from affecting regular AutoCAD. Non-COM Properties C++-only improvements related to Properties Window and more. DCL files by default are saved in ANSI format where the characters depend on the code page being used. In previous versions the character set selection when dispaying the DCL dialogs was based on the OS settings, whereas in the new version it is based on the language version of AutoCAD. To make your DCL file use the UTF-8 format, simply open it in Notepad, then in the Save As dialog setEncoding to UTF-8. Note that Visual Lisp editor doesn't show UTF-8 files properly, so you'll have to edit those in a unicode compatible editor such as Notepad. VBA (Microsoft Visual Basic for Applications) is still available in AutoCAD 2013 but it is not included with the installation media. Find the VBA for AutoCAD downloads here at http://www.autodesk.com/vba-download. As VBA probably will not be around for future versions consider converting your existing VBA code to C# or VB.NET and if you like help with it please feel free to contact us. Note that Windows Vista is not supported by Autodesk for AutoCAD 2013. Autodesk to cease support of Windows Vista even though Microsoft changed their mind Autodesk didn’t follow. With SP2 also Windows 8 is supported. There is nothing that restricts you from running AutoCAD 2013 on Windows Vista but you're on your own. Other than that if you already run AutoCAD 2011 or AutoCAD 2012 your system will probably work the same. As always with system requirements these are minimal requirements for AutoCAD to run. For professional usage you surely want to have much better hardware. FlexNet version 11.10.0.3 for Autodesk Network License Manager. AutoCAD R14, AutoCAD 2000, AutoCAD 2004, AutoCAD 2007, AutoCAD 2010, AutoCAD 2013. For both 32 & 64-bit Misc. 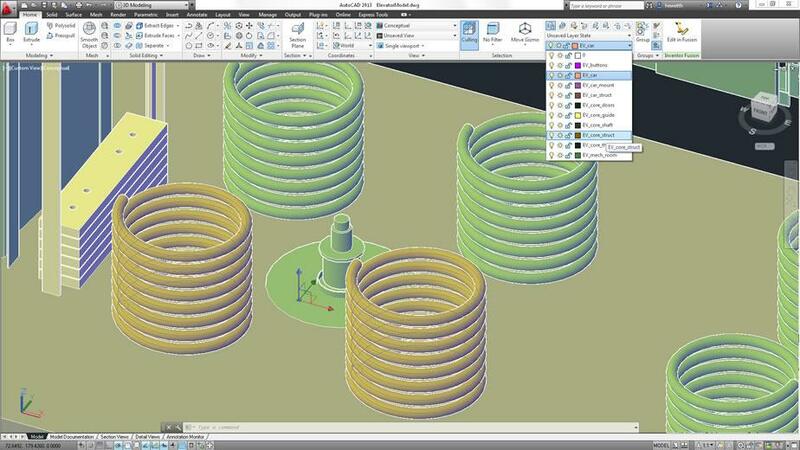 Save-as Support AutoCAD R14, AutoCAD 2000, AutoCAD 2004, AutoCAD 2007, AutoCAD 2010, AutoCAD 2013. 1,280 x 1,024 True color video display adapter 128 MB or greater, Pixel Shader 3.0 or greater support by your graphics card, Direct3D capable workstation class graphics card. Improve the functionality to show real symbols for mtext and also delete any that are not used. It is now only possible to add new ones through the registry. Personal Mtext Symbols. Having the help window linked to the main application window is not always wanted. Give us a better option. Make the help search functionality more relevant. Try to search for LINE and you see the problem. Add some kind of table of contents to the help system. By functionality, by command, variable, etc. When creating a new sheet in Sheet Set Manager the create date attribute on the file is inherited from the Sheet template. AutoCAD should use the date/time when the sheet is created instead. Drawing Revision number as seen in DWGPROPS is used when adding a Sheet List Table and there is no way to show the sheet property Revision number. Revision date, Purpose and Category cannot be added to the table either. AutoCAD 2013 also is referred to as ACAD2013 or ACAD 2013. AutoCAD 2013 product keys is 001E1. Product Help is available online and is not installed with the product by default. You can launch the Help installation at the end of the product installation, or after launching the product by selecting Download Offline Help from the Help icon. Adobe Flash Player is required to view some video content. It may not install when accessed directly from the Welcome Screen. In this case, please install it directly from the Adobe Flash download page. If prompted to select the Flash Player version to install, be sure to select Flash Player For Other Browsers for best compatibility. QuickTime is required to view some video content. If videos fail to play, please install it directly from the Apple QuickTime download page. 1.1 What is AutoCAD 2013 software? and more effortless user interface and a customizable Command Line display. 1.2 Who uses AutoCAD software? • Design professionals who create technical drawings. annotations, links to online data, and verification of accuracy. review drawings to extrapolate data specific to their businesses. 2.1 What are the licensing options and pricing for AutoCAD 2013 software? 2.2 Can I try AutoCAD 2013 software before I buy it? Authorized Reseller or simply download the fully functioning trial version. agreement that accompanies the software. 2.3 What benefits does Autodesk Subscription offer? exclusive license terms that are available only to Subscription members. with web-based collaboration and data management solutions. entire term of your contract. apply them to your new projects to help you stay competitive. projects where clients or partners are running previous versions. Learn more by visiting the Autodesk Subscription product center. 2.4 What product downloads are available for AutoCAD Subscription members? software work with AutoCAD 2013 software? 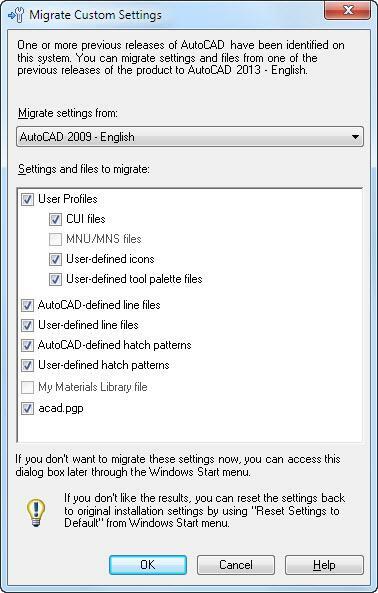 3.2 Do AutoCAD 2012 customized menus work in AutoCAD 2013 software? accommodate technology and performance improvements in the software. formats, ranging back to R14 DWG TM and R12 DXF TM formats. 3.5 Can I open an AutoCAD 2013 drawing with an older release of AutoCAD? files to AutoCAD Release 14, 2000, 2004, 2007, and 2010 file formats. DWG TrueView can be downloaded at www.autodesk.com/dwgtrueview. or Autodesk vertical solution, including AutoCAD 2012–based products. 3.7 Is AutoCAD 2013 compatible with AutoCAD LT? formats for compatibility with older products. 4.1 What are the system requirements for AutoCAD 2013 software? System requirements can be found online. 4.2 Does AutoCAD 2013 software support 64-bit operating systems? Yes. See the system requirements above. 4.3 Does AutoCAD 2013 software support Windows Vista? No, AutoCAD 2013 does not support the Windows Vista® operating system. 4.4 Does AutoCAD 2013 software support Mac OS X? other Mac software. Please refer to the AutoCAD 2013 Platform Comparison Matrix. 4.6 Does AutoCAD 2013 software support multiple CPU systems? graphics and rendering systems benefits from multiple CPU systems. 5.1 What is product activation? operate their software the way they have always done. 5.2 How do I activate my software? use the software on multiple machines? software on separate machines on different operating systems? more information on cross-platform licensing. 5.5 How do I transfer my software license to another machine? between machines. The OLT replaces the former Portable License Utility. To transfer a license, simply start the transfer utility and choose Export. 5.6 Where can I find more information about software activation? More information on product activation can be found online. 6.1 How do I obtain direct technical support? installation, configuration, and troubleshooting questions. or visit the Autodesk website. 6.3 Where do I find training courses for AutoCAD 2013 software? 6.4 How do I find out if service packs are available for AutoCAD 2013 software? AutoCAD subscription members can download AutoCAD 2013. If you want to participate in the Beta testing for the next release of AutoCAD (AutoCAD 2014) visit http://beta.autodesk.com. The following commands are new or have been updated in AutoCAD 2013. AI_DOWNLOAD_LANGUAGE_PACKS Open webpage for language packs. AI_DOWNLOAD_OFFLINEHELP Open webpage for offline help. AI_OPEN_FACEBOOK_WITH_PRODUCT Open webpage for Autodesk on Facebook. AI_OPEN_SUBSCRIPTION Open webpage for Autodesk Subscription. AI_OPEN_TWITTER_WITH_PRODUCT Open webpage for Autodesk on Twitter. ACPTOOLTIPS Enables tooltips for connection ports (ACP). -ARRAYCLOSE Saves or discards changes made to an array’s source objects and exits the array editing state. ONLINECOLNOW Starts an online session with AutoCAD WS, in which people that you invite can simultaneously view and edit your current drawing. ONLINEDOCS Opens your Autodesk 360 documents list and folders in a browser. ONLINEOPTIONS Opens the Online tab of the Options dialog box. 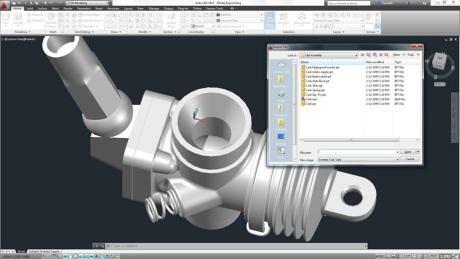 ONLINESHARE Designates who can access the current document from your Autodesk 360. ONLINESYNC Starts or stops syncing your custom settings with your Autodesk 360 account. ONLINESYNCSETTINGS Displays the Choose Which Settings Are Synced dialog box where you can specify selected settings to be synced. ONLINETOMOBILE Sends a notification to your mobile devices, enabling you to find and open the current drawing on your mobile devices quickly. ONLINEUPLOAD Uploads specified drawing files to your Autodesk 360 account. OPENONMOBILE Sends a notification to your mobile devices, enabling you to find and open the current drawing on your mobile devices quickly. POINTCLOUDCLIP Crops the display of a selected point cloud to specified boundaries. POINTCLOUDINTENSITYEDIT Opens the Point Cloud Intensity Color Mapping dialog box that specifies intensity color mapping for eligible point clouds. RENDERONLINE Uses the online resources in your Autodesk 360 account to create an image of a 3D solid or surface model. SHOWRENDERGALLERY Displays the images that were previously rendered and stored in your Autodesk 360 account. SURFEXTRACTCURVE Extracts isolines curves from a surface. VIEWCOMPONENT Selects drawing view components for editing. 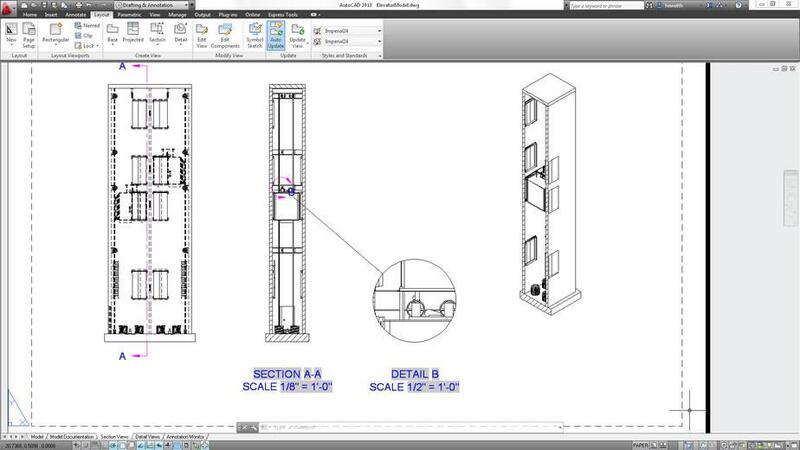 VIEWSECTION Supports the creation of section views by selecting a drawing view to cut. VIEWDETAILSTYLE Supports the creation or modification of detail view styles. VIEWSECTIONSTYLE Supports the creation and editing of section view styles. VIEWSKETCHCLOSE Exits a “view sketching” state and makes paper space current. VIEWSYMBOLSKETCH Constrains the section line and detail boundaries to the drawing view geometry. WELCOMESCREEN Displays the Welcome window when you start the program. -WORKFLOW (AutoCAD Suites only) Specifies a Suite workflow that prepares your drawing for import into Autodesk Showcase or Autodesk 3ds Max. WORKFLOW (AutoCAD Suites only) Specifies a Suite workflow that prepares your drawing for import into Autodesk Showcase or Autodesk 3ds Max. ACISOUT Exports solid objects to an ACIS file. Saves SAT files as Version 7.0. ADCENTER Manages content. Updated to support Section View and Detail View styles. ARRAY Creates multiple copies of objects in a pattern. Displays contextual tab during array creation. ARRAYEDIT Edits multiple copies of objects in a pattern. Path array automatically calculates the item count based on the item spacing and length of path curve. ATTACH Allows the user to insert various file types as attachments or underlays into a DWG file. Now attaches point clouds files (PCG and ISG). -ATTACH Allows the user to insert various file types as attachments or underlays into a DWG file from the command prompt. Now attaches point clouds files (PCG and ISG). CLIP Allows the user to clip viewports, xrefs, DWF, DWFx and DGN underlays, PDF underlays and point clouds. Now creates clipping boundaries for point clouds. -HATCHEDIT Modifies an existing hatch object from command line. Now allows multiple-hatch selection. LIST Displays property data for selected objects. If the command window is not docked, displays object information in the extended command history. If the command window is docked, information is displayed in the text screen. MLEADER Creates a line that connects annotation to a feature. Now supports strikethrough formatting. MOVE Displaces objects a specified distance in a specified direction. Now supports section view and detail view types. MTEDIT Edits multiline text. Text style drop-down list display changed to show more options. MTEXT Creates multiline text. Text style drop-down list display changed to show more options. POINTCLOUDINDEX Creates a point cloud (PCG or ISD) file from a scan file. Supports additional types of scan files. PRESSPULL Dynamically modifies objects by extrusion and offset. Provides additional visual display support for the presspull operation. PURGE Removes unused named items, such as block definitions and layers, from the drawing. Now purges Detail View styles and Section View styles. -PURGE Removes unused named items, such as block definitions and layers, from the drawing. Now purges Detail View styles and Section View styles. RENAME Changes the names of objects Now supports renaming of Detail View styles and Section View styles. -RENAME Changes the names of objects from command line. Now supports renaming of Detail View styles and Section View styles. ROTATE Moves objects about a base point. Now supports rotation of section views and detail views. STYLE Creates named styles. Text style drop-down list display changed to show more options. TABLE Creates an empty table object in a drawing. TEXT Displays text on screen as it is entered. TEXTTOFRONT Brings text and dimensions in front of all other objects in the drawing. Now supports leaders. UNDO Reverses the effect of commands. VIEWBASE Creates a base drawing view from model space or Autodesk Inventor models. Supports the creation of drawing view objects from model space or Inventor models within a layout (paper space). VIEWEDIT Edits an existing drawing view. Supports the editing of drawing view objects regardless of type: base, projected, section and detail views. VIEWPROJ Creates a projected view from an existing drawing view. Now supports section and detail drawing view object types. VIEWSTD Configures the drafting standard used by new drawing views. VIEWUPDATE Updates selected drawing views that have become out of date because the source model has changed. GETLINK Gets a link to the current document to paste or e-mail. MANAGEUPLOADS Manages uploading of additional documents. MESSAGES Displays messages about updates to AutoCAD WS drawings. ONLINEDRAWINGS Opens web browser to access all online documents. OPENONLINE Opens current drawing in AutoCAD WS. SHARE Makes current drawings available to other AutoCAD WS users. Replaced by ONLINESHARE. SHAREWITHSEEK Uploads a selected block or the current drawing to the Autodesk Seek website. UPLOAD Uploads the current document to Autodesk 360. UPLOADFILES Opens file dialog box to upload additional documents. WHATSNEW Opens New Features Workshop. ACISOUTVER Controls the ACIS version of SAT files created using the ACISOUT command. PROXYWEBSEARCH Specifies how AutoCAD checks for Object Enablers. RASTERPREVIEW Controls whether BMP preview images are saved with the drawing. Replaced by THUMBSAVE. MTEXT2_UNUSED and MTPROP2_UNUSED but might have been removed in earlier versions of AutoCAD. The following system variables are new or have been updated in AutoCAD 2013. AECOBJECTISOLATEMODE AEC object isolate mode. ANNOMONITOR Turns the annotation monitor on and off. APPSTATUSBARSTATE Indicates whether status bar is on. APPSTATUSBARUSEICONS Indicates whether status bar uses icons. ARRAYASSOCIATIVITY Sets the default behavior of new arrays to be associative or non-associative. CACHEMAXFILES Sets the maximum number of graphics cache files saved in the local configured temporary folder for the product. CACHEMAXTOTALSIZE Sets the maximum total size of all graphics cache files saved in the local configured temporary folder for the product. CLIPROMPTLINES Sets the number of lines displayed in the temporary prompt history when the command window is set to display one line. CLIPROMPTUPDATE Controls whether the command line displays the progress as a command or script is run. CVIEWDETAILSTYLE Sets the name of the current detail view style. The current detail view style controls the appearance of all new model documentation detail views, detail boundaries and leader lines you create. CVIEWSECTIONSTYLE Sets the name of the current detail view style. The current detail view style controls the appearance of all new model documentation detail views, detail boundaries and leader lines you create. DGNIMPORTUNITCONVERSION Sets unit conversion style for imported DGN. DISPLAYVIEWCUBEIN2D Controls the display of the ViewCube tool when the 2D Wireframe visual style is applied to a viewport. NOPREVIEWHIGHLIGHT Sets grip preview highlight. ONLINEAUTOSAVEPATH Path to the local cloud cache folder. ONLINEDOCMODE Indicates whether a copy of a new drawing is saved automatically to your Autodesk 360 account. ONLINEDOCUMENTS Stores whether you can open and save drawing files directly to your Autodesk 360 account. ONLINEFOLDER Displays the location of your local Autodesk 360 folder in Finder. ONLINESETTINGSSYNC Indicates the status of online synchronization of custom settings. ONLINESYNCTIME Controls the time interval for synchronizing current customization settings with a local cache, which then stored in your Autodesk 360 account. ONLINEUSERNAME Displays the username that is used to log into the Autodesk 360 account. PALETTEICONSTATE Indicates whether palettes are in icon state. PLINEREVERSEWIDTHS Controls the appearance of a polyline when it is reversed. POINTCLOUDBOUNDARY Turns the display of a point cloud bounding box on and off. POINTCLOUDCLIPFRAME Controls whether a point cloud clipping boundary is visible on the screen and when printed. POINTCLOUDPOINTMAX Sets the maximum number of point cloud points that can exist in a drawing. PROPERTYPREVIEW Controls whether in-canvas preview of property editing, through object or style, is enabled. PROPPREVTIMEOUT Sets the maximum number of seconds for a property preview to display before the preview is automatically cancelled. SELECTIONPREVIEWLIMIT Limits the number of objects that can display preview highlighting during a window or crossing selection. SUPPRESSALERTS Controls alerts about potential data loss when opening and saving newer drawings in older versions of the product. THUMBSAVE Controls whether BMP preview images are saved with the drawing. VIEWSKETCHMODE Turns the view sketching state on or off. VIEWUPDATEAUTO Specifies whether Model Documentation views are updated automatically when changes are pending. WIPEOUTFRAME Controls the display of frames for wipeout objects. BINDTYPE Controls how xref names are handled when binding xrefs or editing xrefs in place. POINTCLOUDDENSITY Controls the percentage of points displayed at once for all point clouds in the drawing . The system variable value is a percentage of the maximum number of points that can exist in a drawing which is defined by POINTCLOUDPOINTMAX, regardless of the number of point clouds attached to a single drawing. Available for viewing drawings w/point clouds in LT.
POINTCLOUDRTDENSITY Controls the percentage of points displayed during real time zoom, pan, and orbit functions. Improves performance by degrading the number of points displayed during zooming, panning, or orbiting in real time. Set this system variable to a value less than the value of POINTCLOUDDENSITY in order to improve performance. SUBOBJSELECTIONMODE Filters the 3D subobject types that are selected with CTRL+click. Adds a value (5) that specifies that only components in a drawing view are available for selection. THUMBSIZE Controls the maximum size of thumbnail preview which can be stored. Now accommodates higher resolutions for thumbnail sizes. XDWGFADECTL Controls the dimming for all DWG xrefs. XFADECTL Controls the fading intensity percentage for references being edited in-place. Controls the degree of fading when editing a reference in place or when in a view sketching state (editing view-specific geometry). XREFNOTIFY Controls the notification for updated or missing xrefs. Now communicates with the Inventor Server to check for updates to Inventor models placed in Model Documentation views. All Autodesk beta programs are run from http://beta.autodesk.com. Web & Mobile - This sneak peek highlights features for people who work on AutoCAD from multiple computers or different locations -- such as using different workstations, or switching between the office, home, or working out in the field. CAD Managers and day-to-day AutoCAD users of all levels are welcome to attend. Model Documentation - This sneak peek is geared toward people in the Mechanical/Manufacturing industry who use AutoCAD, AutoCAD Mechanical, or/and Inventor, and who create and annotate model views (such as section, detail, and projected views) of 3D models (mechanical parts, components).